Every year my family and I (at least the family that isn’t away at college :) go chestnut collecting. 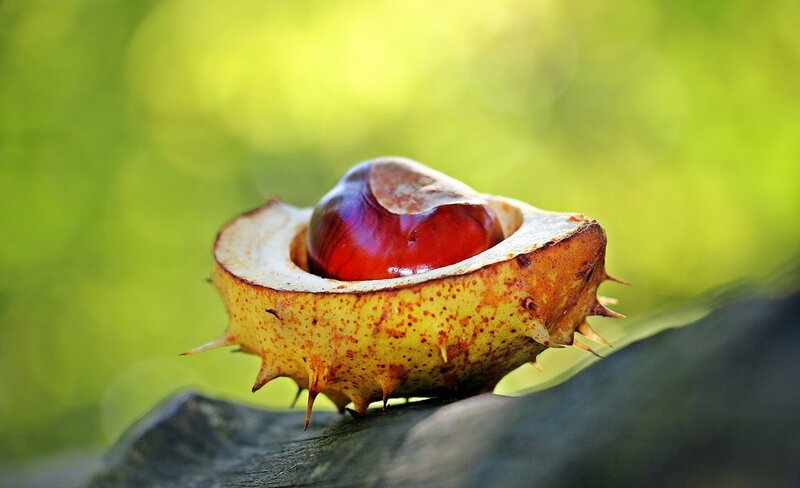 We love Chestnuts and no I am not telling you where we go to collect them… it’s a family secret. I love chestnuts and over the past 30 years I have discovered there are a few recipes that you just can’t go wrong with. Part of living in Northern Michigan is bringing the wonders of Northern Michigan into the everyday adventures of an amazing life. Life can only really be lived well when all of your senses are engaged and foraging for your own chestnuts is a fabulous way to bring Christmas spirit into your home. When you are throwing an intimate party at your new lakefront home a wonderful aperitif is Chestnut Stuffed Mushroom Caps these wonderful caps are not too oily or fatty as the umame is given to the bites by the mushrooms as chestnuts are low in fat. As a side dish at dinner I like to combine chestnuts with vegetables. Use your imagination! I like to combine them with Brussel sprouts and left over turkey or thin sliced ham. If you want to get fancy with it add some pancetta. There is the always classic roasting of chestnuts. You score the top with a sharp knife in an X and then roast until the peels are pulling off and the nuts are soft. Approximately 30 minutes. I hand out fresh roasted chestnuts every year at my North Harbor Christie’s International Real Estate office during the Boyne City Holiday Parade. Come on down for a treat next year!